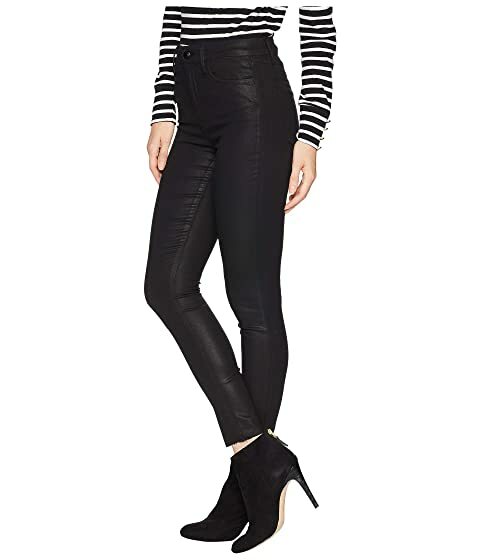 Spice up your denim game with these bold Joe's Jeans® skinnies. The Charlie features a mid rise and a skinny fit from the hip to the ankle-skimming length. Black is a coated black wash that offers a luxurious sheen. Raw hems provide an elevated look. Five-pocket design with leather logo tab looping over the right rear pocket. 52% cotton, 45% modal, 3% elastane. Machine wash and hang dry.